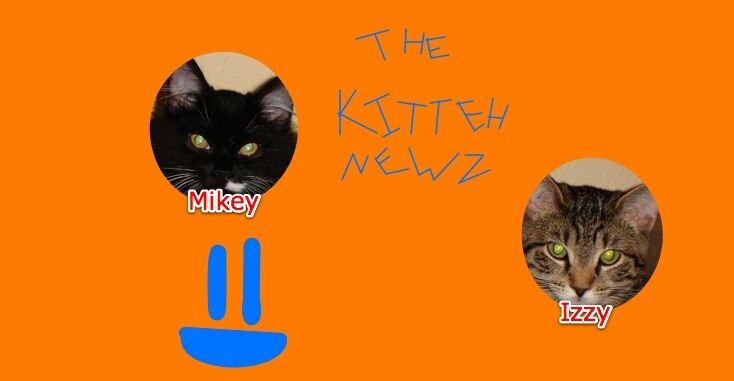 The Kitteh Newz: No, Mikey, you're not gonna like that! Oh, man, Mikey is so funny. He just cracks me up. This morning, I was taking a bath, and when I opened the shower curtain... There he was, looking at me like, "Hi Meowma! Can we play Tunnels now?" Then he came running to me and put his front paws on top of the tub. I told him, "If you come in here, you are gonna be SO wet. And you're not gonna be happy 'bout that!" He went down, and up again, and down, and up again until I got out. They are sooooo silly. Up above (the world so high, like a diamond in the sky) is a picture of, well, you guessed it-Mikey in a laundry basket.